I’m becoming interested in creating craft from materials grown and found in my garden. Not only is it hugely satisfying, it adds another dimension to the garden and costs next to nothing. 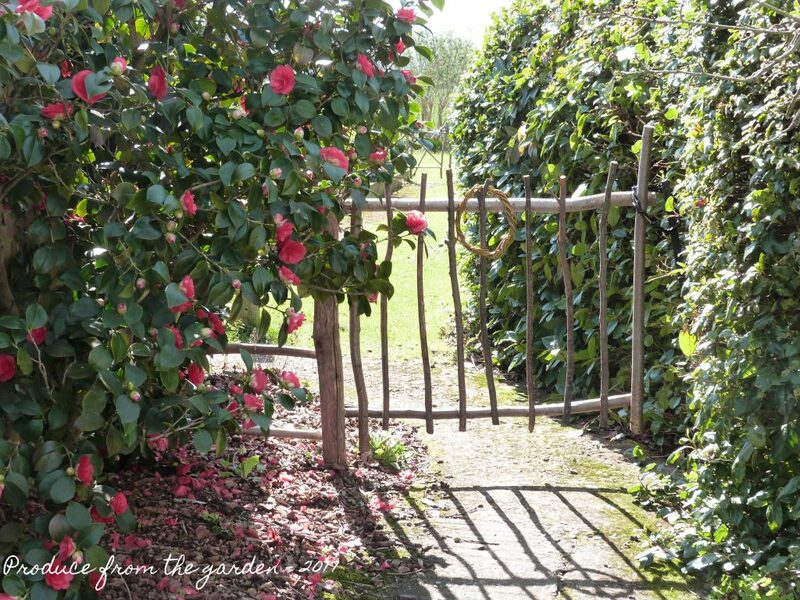 A homemade gate from garden hazel, a new entrance to my kitchen garden. Coppicing (cutting back a tree to ground level periodically to stimulate growth) is a great way to keep certain garden trees to a manageable size, whilst also providing you with a crop of crafting material from your garden. 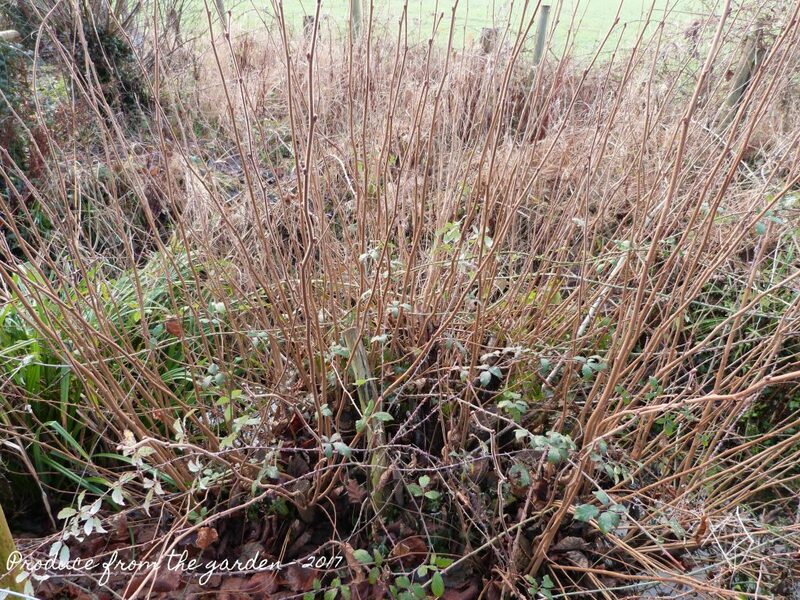 I’ve just been coppicing my Hazel and Willow, it needs to be cut in winter when the tree is dormant, before it bursts into leaf. I have six Hazel trees, the idea is that I coppice one or two a year, I then leave them to grow for 4-5 years, before coppicing again. 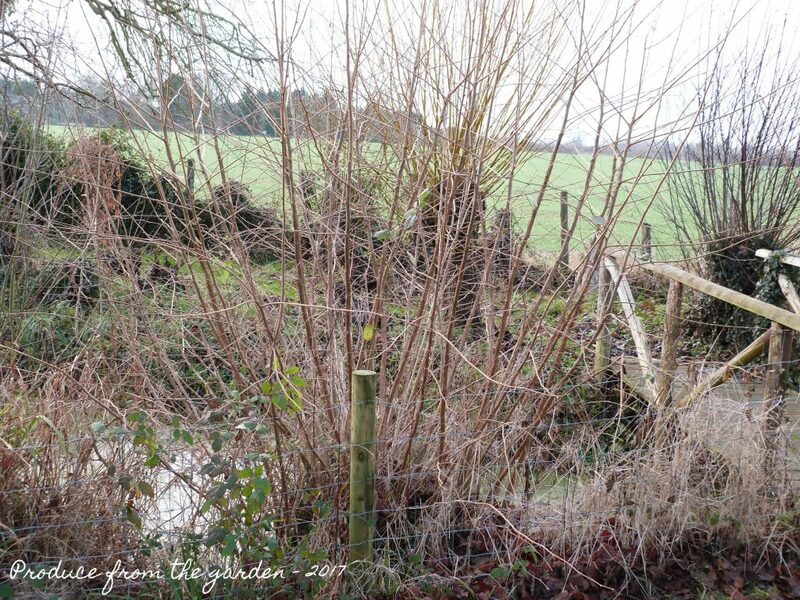 The Willow, a speedier crop than Hazel, is coppiced one a year. 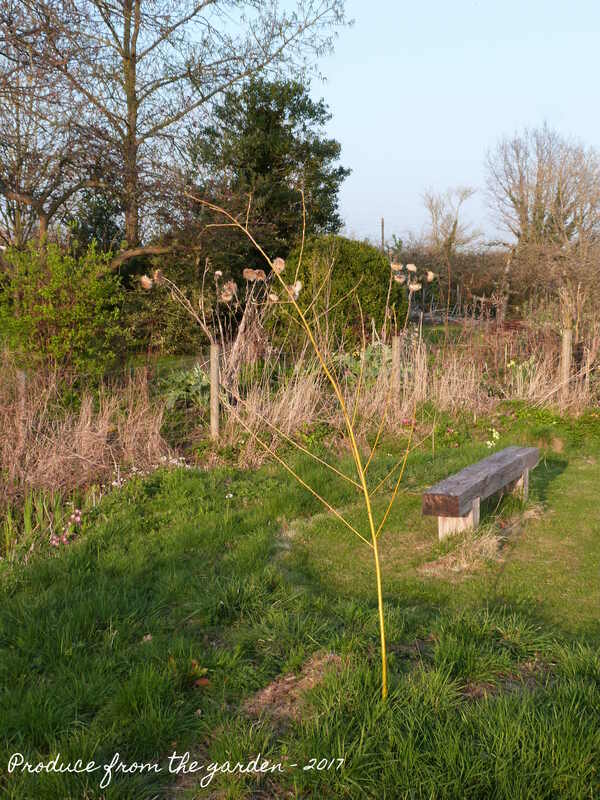 I have three willow trees, all different varieties providing me with yellow, green and nearly black willow whips. 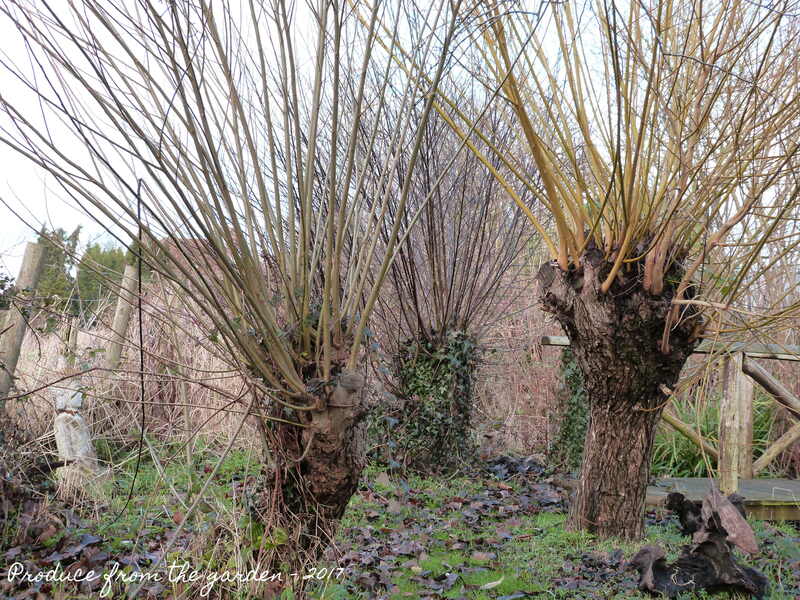 This year I thought I’d increase my willow crop, planting a couple of the coppiced willow whips into the ground. 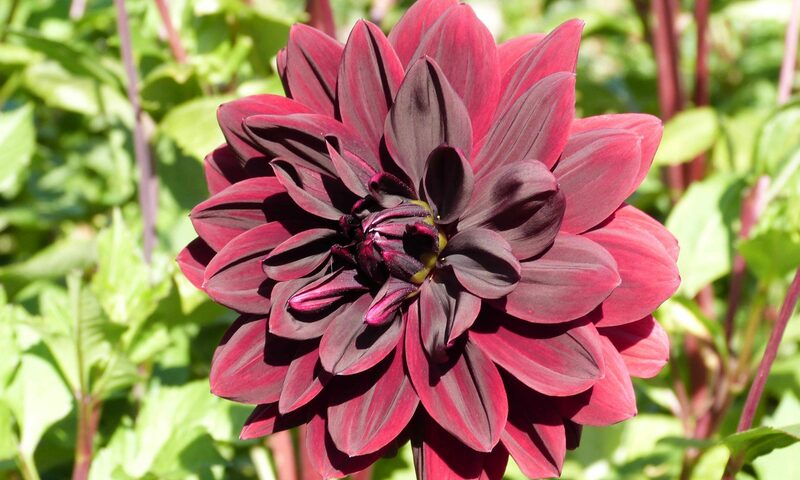 It couldn’t be simpler, you just push the end into damp ground and it will root very quickly. This should be kept in mind, don’t use the willow whips as stakes in the ground for projects unless you want a tree there! 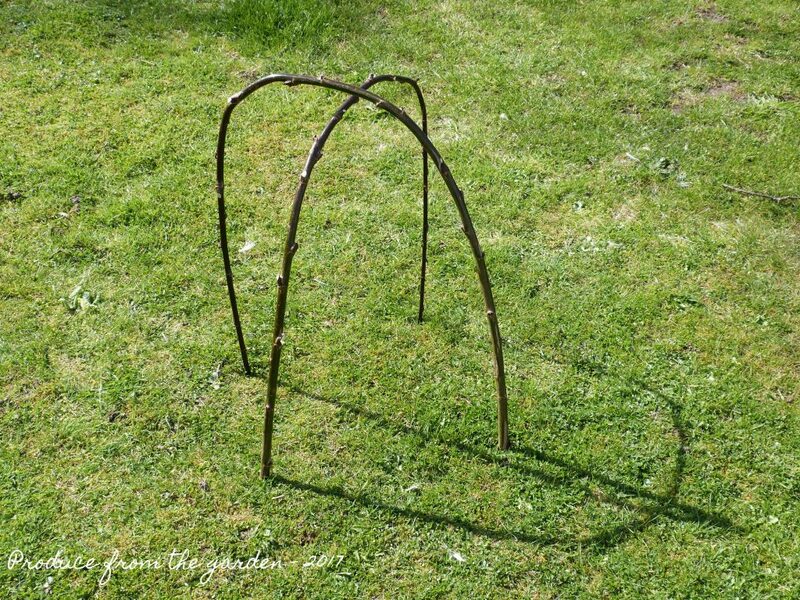 The willow whip I’ve just planted. 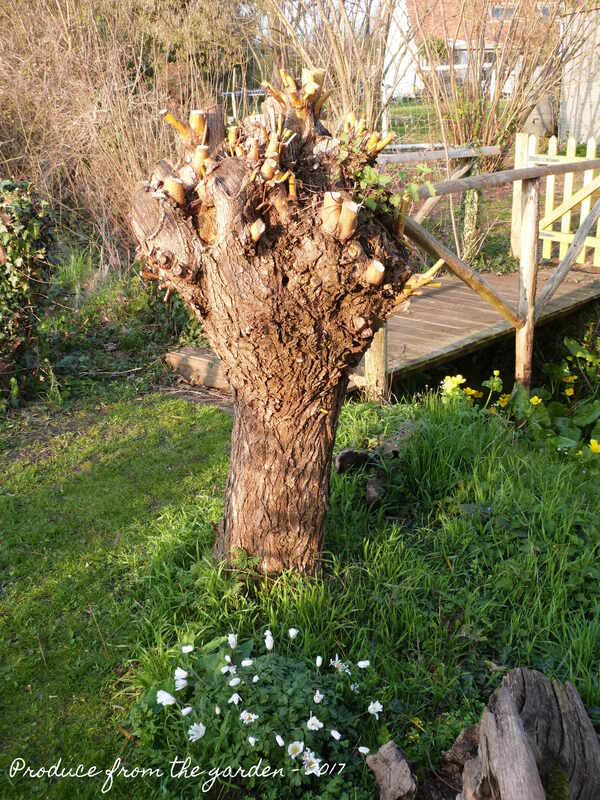 Next winter I’ll cut back the branches and new growth, creating a stump for the whips to grow from. I have used my willow and hazel in various projects this year. The most important has been creating an Alice (my naughty puppy) defence system. Alice’s holes are becoming legendary, and are high up on the husband’s moan list when mowing the lawn, closely followed by all the children’s toys, vehicles and detritus that is liberally scattered around the garden! 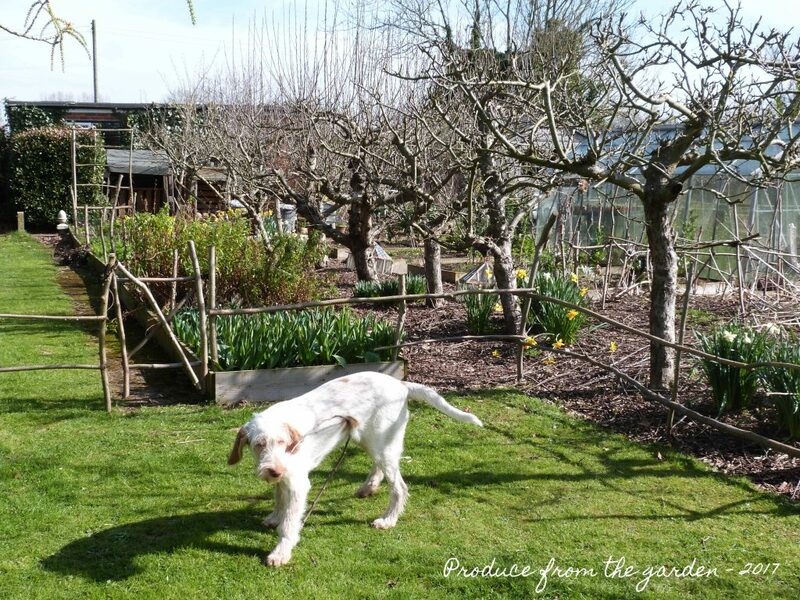 The holes have become more of a pressing issue for myself in the Kitchen garden. Sowing seed in the freshly prepared beds is a disastrous waste of time! So, I’ve barricaded myself in with a hazel fence and a few gates, which I secure shut with woven willow hoops. The result, I’m gardening in constructive peace. The husband’s still moaning, so all’s back to a comfortable equilibrium in our household. 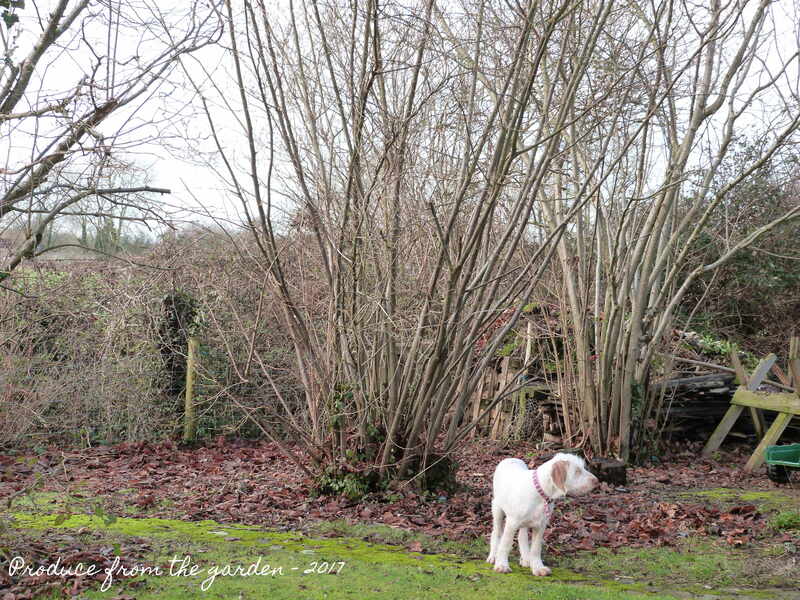 The hazel fencing, keeping Alice here, out of the Kitchen garden! 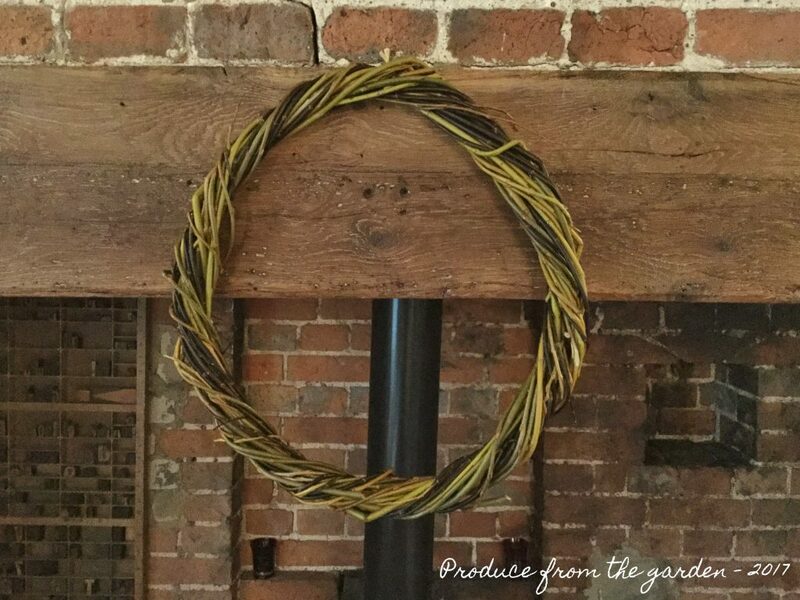 A very simple rustic gate from the hazel, with a woven willow hoop to fasten. 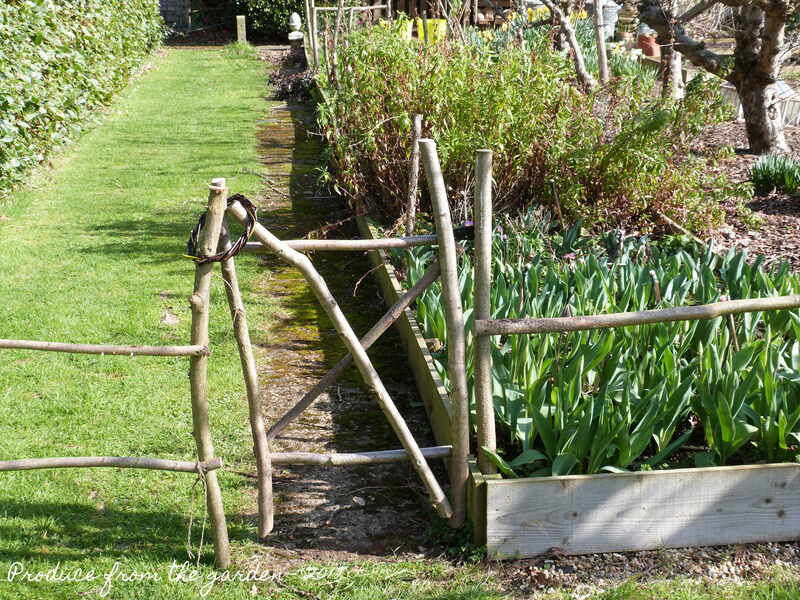 I’m really pleased with this hazel gate I made, a lovely entrance to the kitchen garden. 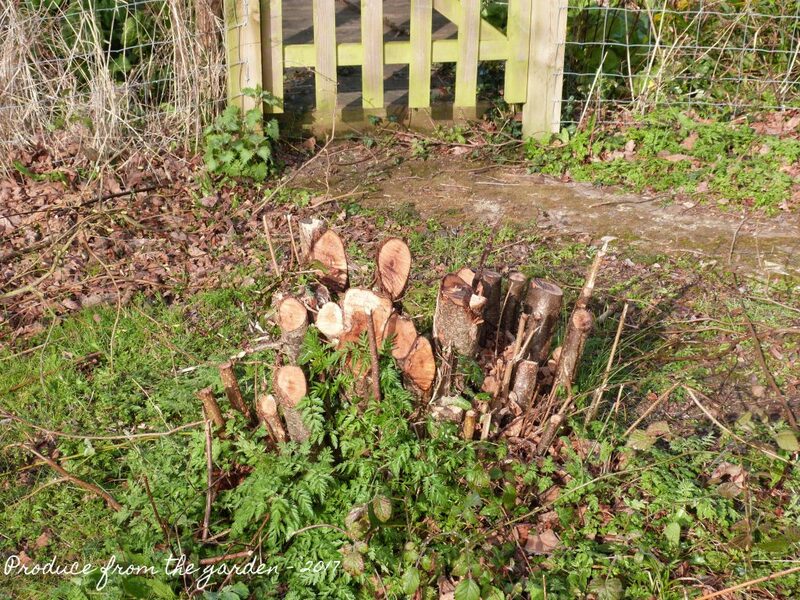 The hazel stakes create great structures for plants to clamber up. 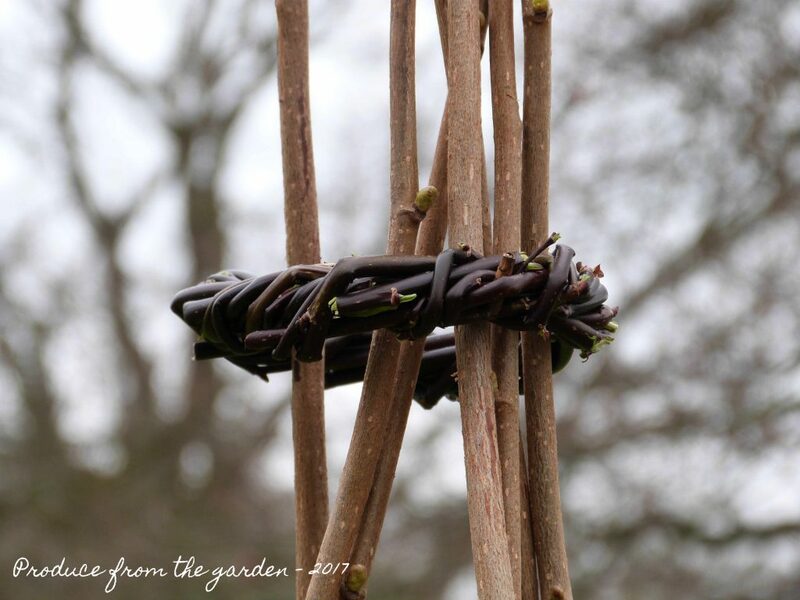 I have tethered the hazel stakes together with garden twine. 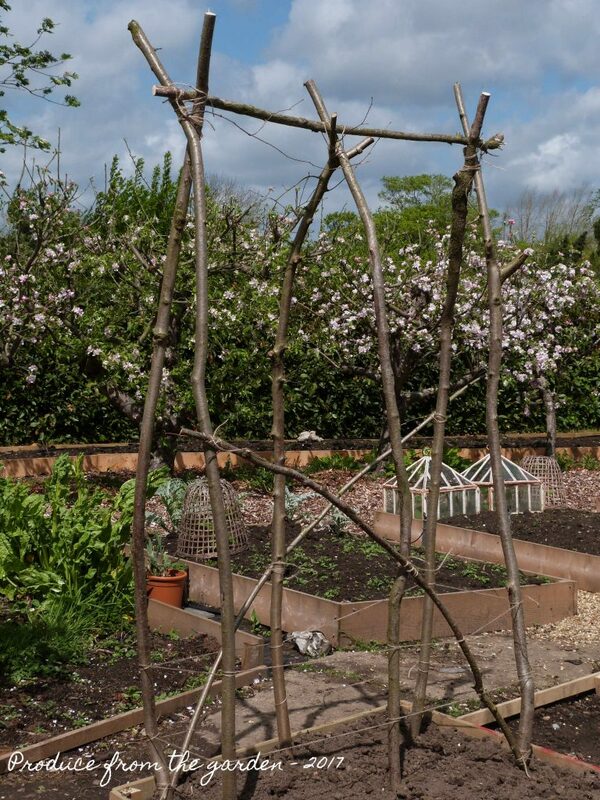 This is not only a strong supportive structure for Runner beans to clamber up, it also gives a lovely rustic feel to the vegetable patch. 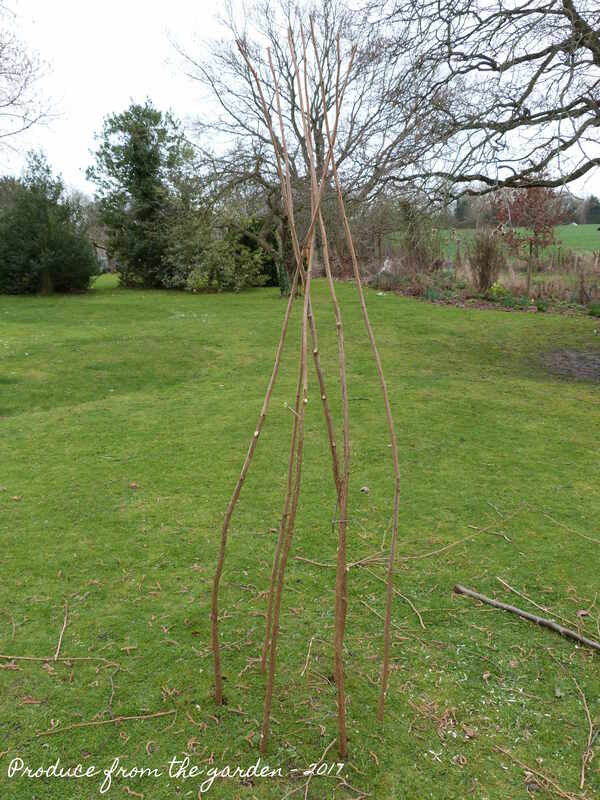 Obelisks look great in borders, they add structure and are a good support for climbers such as clematis or sweet peas. They’re easy to make from hazel stakes with willow woven around them. Don’t worry if the willow weaving looks a bit messy, once finished it all comes together with a homemade natural charm. You’d never be able to buy an obelisk like this in the shops! 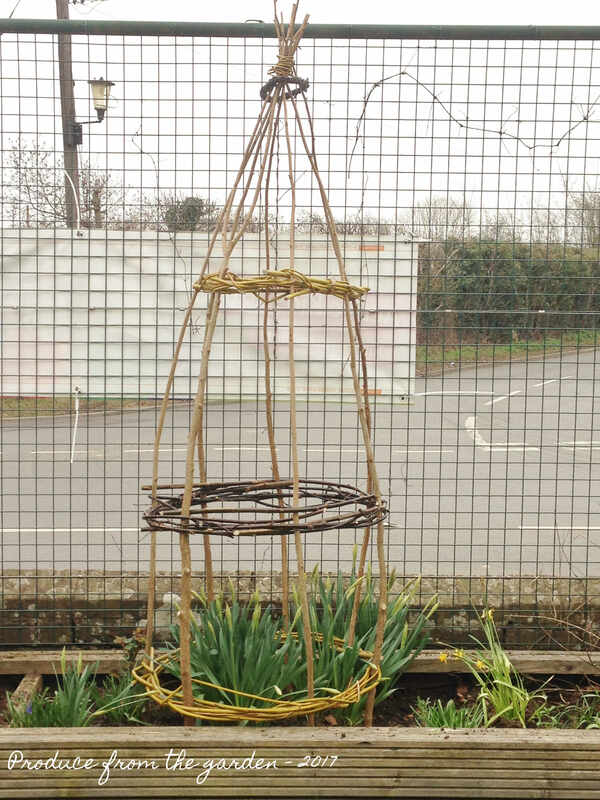 Obelisks are easy to make. First of all secure 6-7 stakes in a circle in the ground. 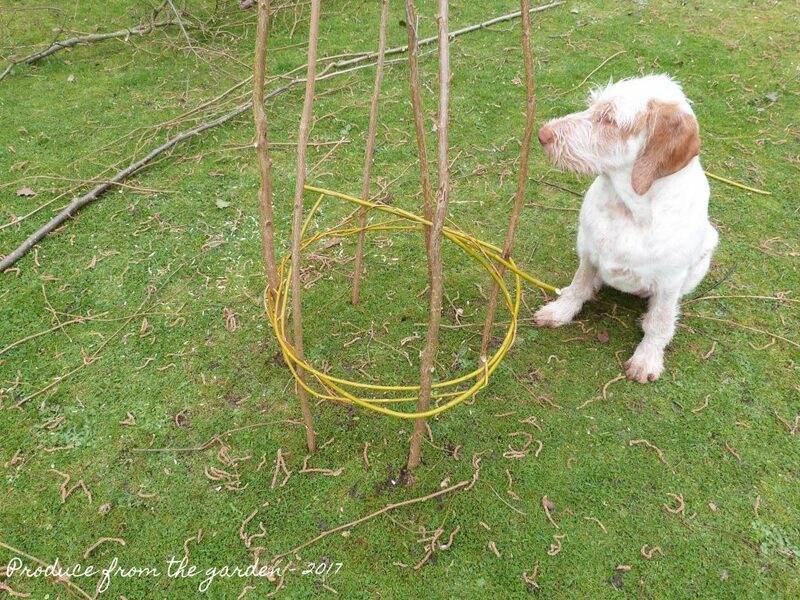 Weave a willow hoop and bring the stakes at the top together. Start to weave willow around the stakes. I highly recommend this is not done with an Alice! 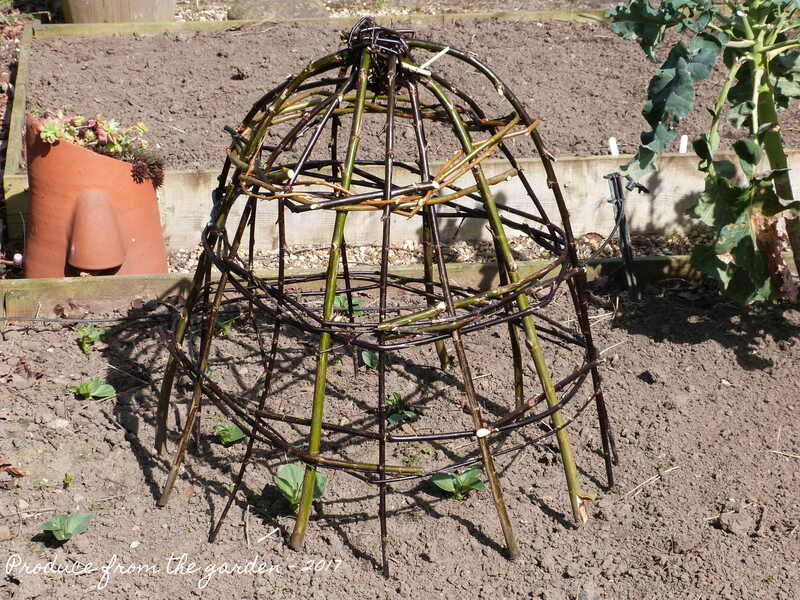 I have also made some willow cloches, I find them useful to pop over tender plants early in the season, giving them a little protection from a chill and wildlife that would like a nibble on their tender shoots! 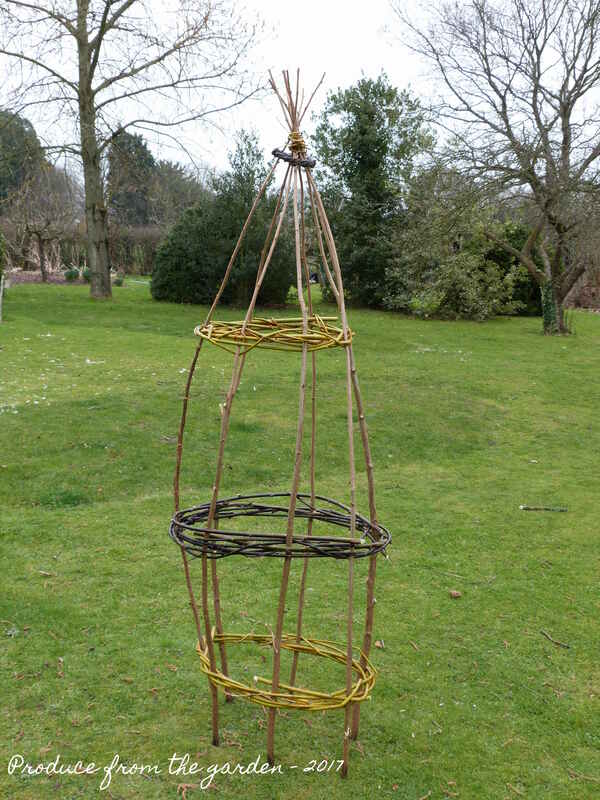 In the same way, I started the obelisk, you just need to secure willow hoops in the ground, this gives you a strong base to weave from. The start of a willow cloch, place six/seven hoops in the ground, ready to weave willow around. 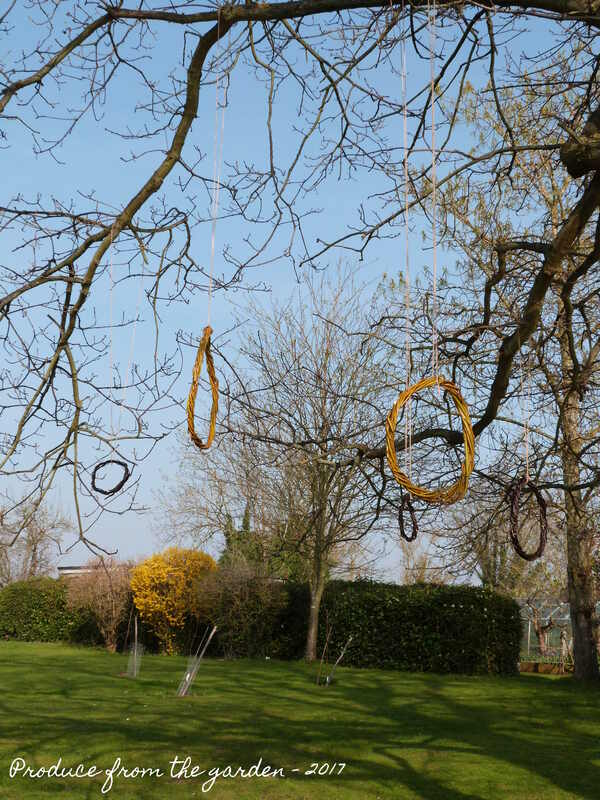 I’ve hung these hoops from our oak tree as fun sculptural art from the garden. My boys seem to think they’re the equivalent of Quidditch hoops!! 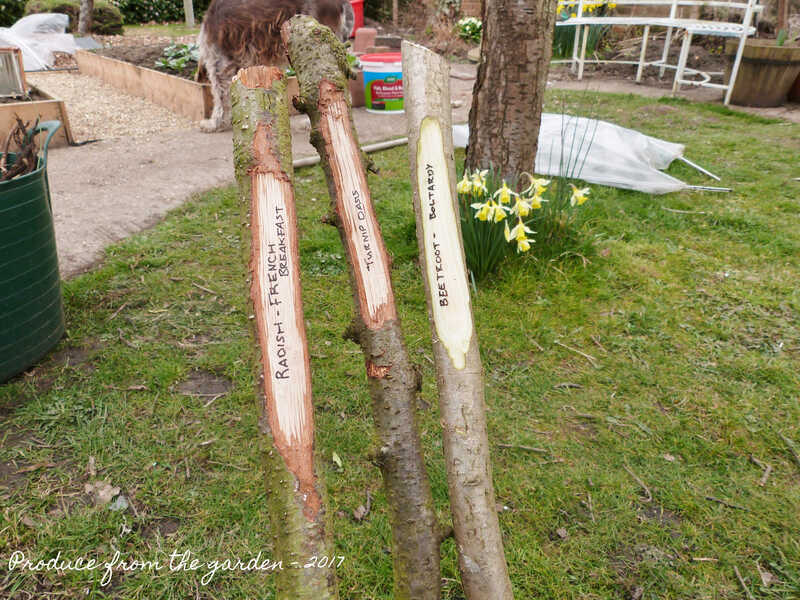 Off cuts of hazel stakes make wonderful plant label sticks, they look fabulous in the kitchen garden, can be clearly seen and are not so easily taken and distributed around the garden by children and dogs, compared to the little white plastic labels! 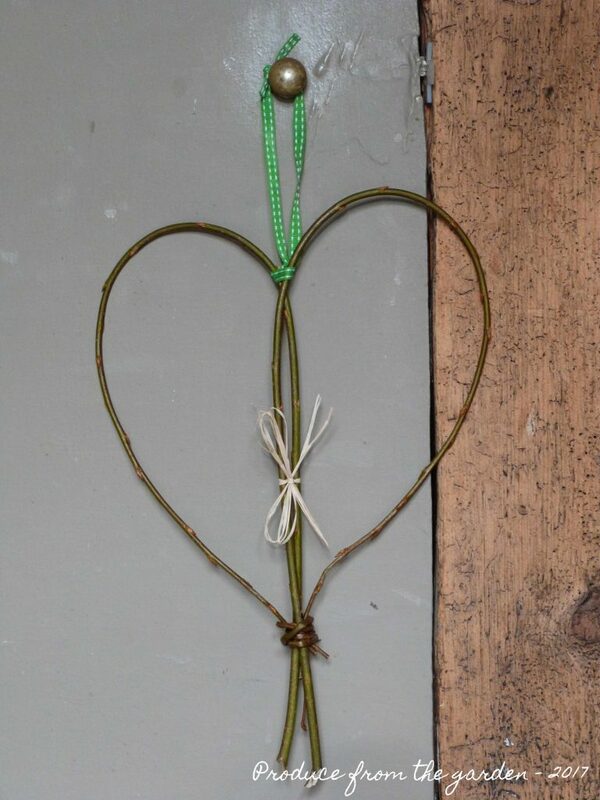 Willow hearts are simple to make with two whips of willow bent over, twisted and woven to secure at the bottom. 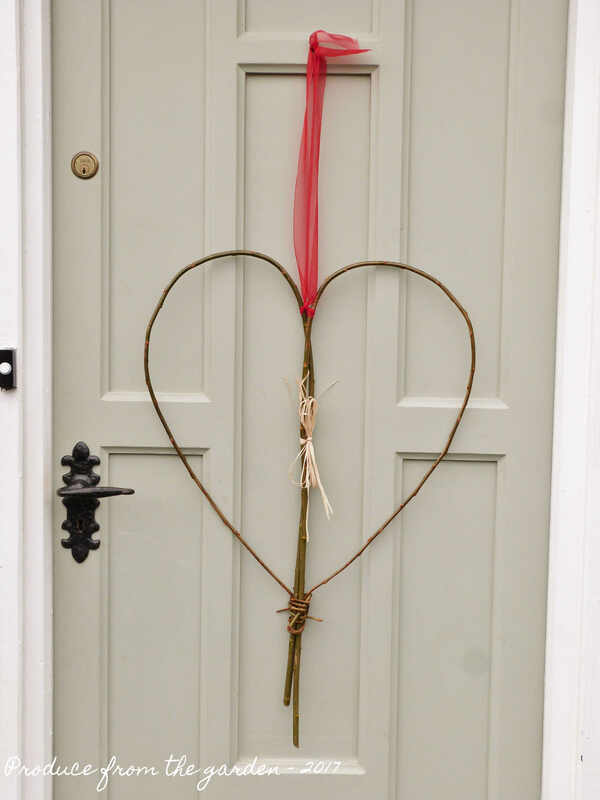 I hung the large heart on our front door for Valentine’s day, it’s now moved to an oak pillar in our dining room. 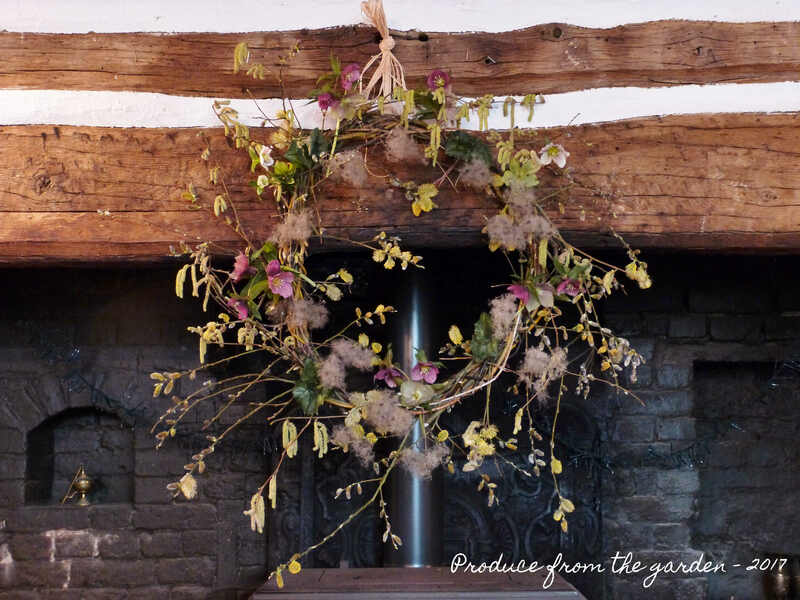 Trees in the garden are a lovely feature, great for wildlife and even better if you can harvest a crop from them for creating craft from the garden!